Everyone always goes to LA or Hollywood when they're visiting the Golden State. 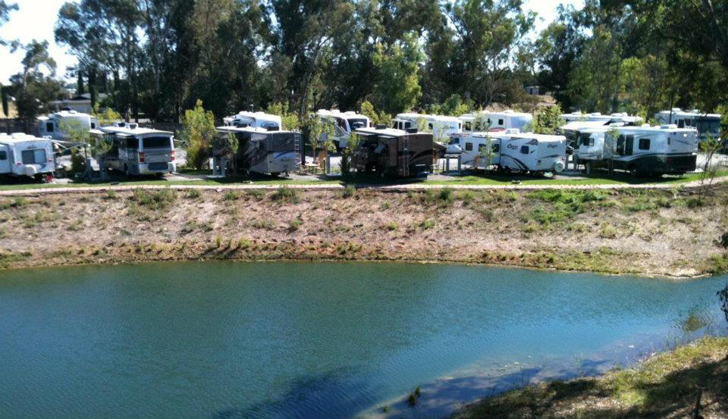 But these 10 RV parks show that Northern Cali has a whole lot to offer, too. California is gorgeous no matter where you go. But when most people think of the Golden State, they’re usually just imagining the southern half with Los Angeles, Hollywood and San Diego. 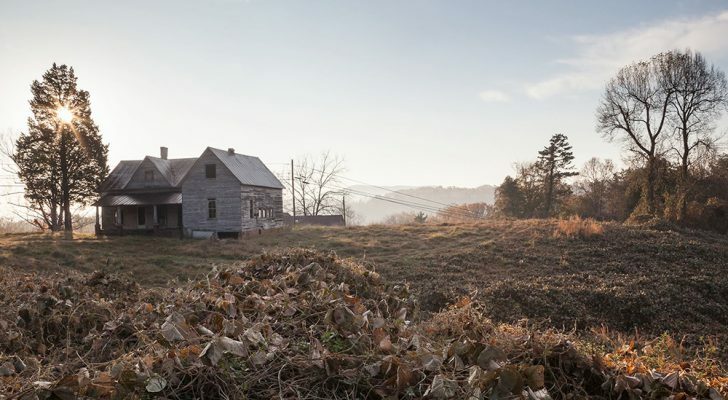 The northern part of the state has a whole lot to offer too, though. You’ll find the capitol up here in Sacramento, not to mention San Francisco, Yosemite, and Lake Tahoe. This summer, try switching things up and go for a trip around the northern half. You’ll find the landscapes are just as much (if not, more) breathtaking, and your camping or RVing experience will be just a tad more peaceful than at the crowded places down by Universal Studios. 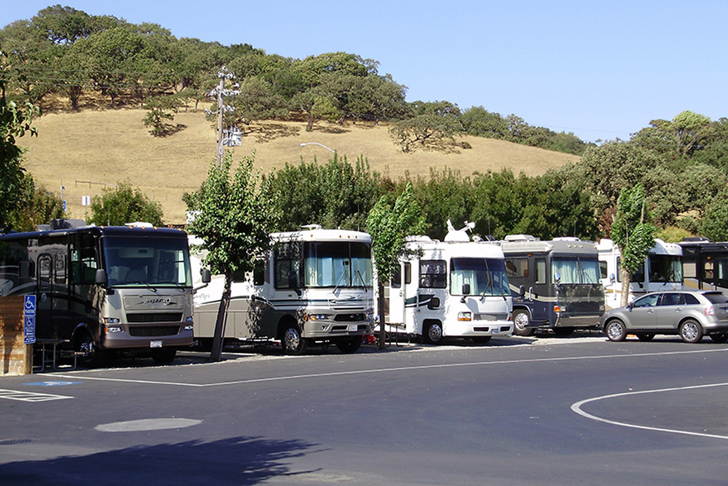 Situated near Napa Valley, Vineyard RV Park welcomes you to join them in wine country paradise. They provide spacious pull-thru sites, and premium pond-front sites. 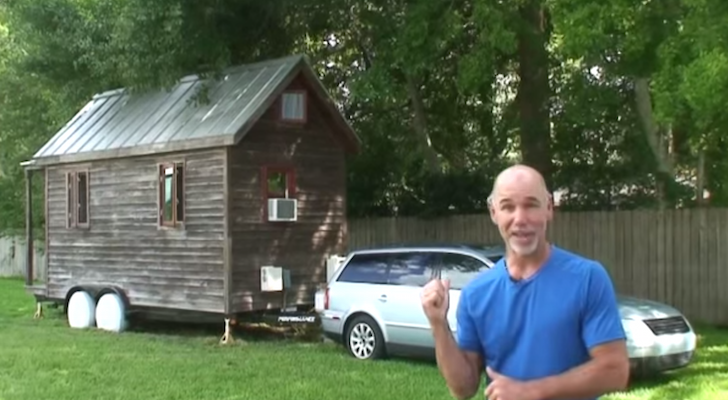 They even have rental cabins available if you’re not looking to bring your RV. 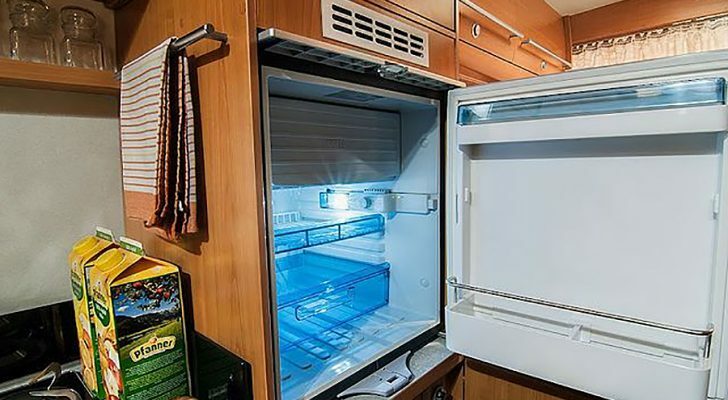 Their extensive list of amenities include: two off-leash dog areas, a 60-foot swimming pool, playground, catch-and-release pond, 24-hour laundry facilities, and a dump station and propane filling station. With the free WiFi, you’ll be able to post the photos from your trip on Facebook pretty much right away. 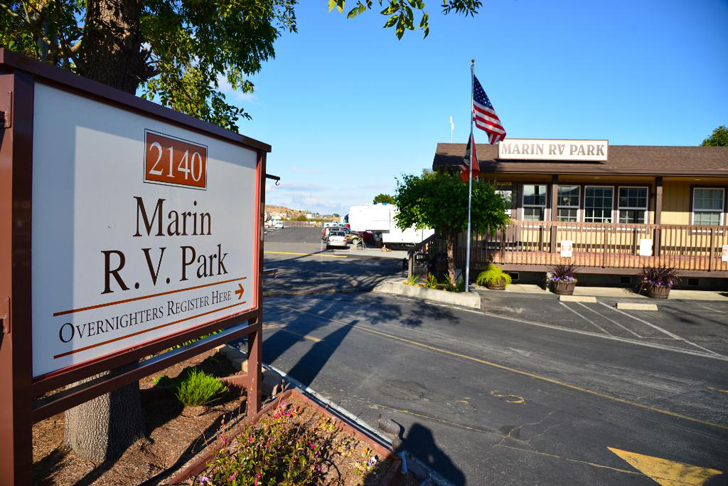 Marin RV Park offers one of the closest (and comfiest) places to stay by San Francisco. Located only about ten minutes from the Golden Gate Bridge, it’s a solid spot if you’re looking to go sight-seeing around the city. Not far away, you’ll find the Golden Gate National Recreational Area, Muir Woods, Point Reyes, and Napa Valley. They feature 87 sites with water, electrical, sewer hook-ups, and cable television. Visitors can also enjoy free WiFi, along with a seasonal heated pool. Your bank account will like it here, too. With an overnight rate of only $75-$85 (plus tax), it’s much more economical than staying at a semi-decent hotel in the city. SacWest is a reliable place to pull up after a long day enjoying everything that California’s capitol has to offer. 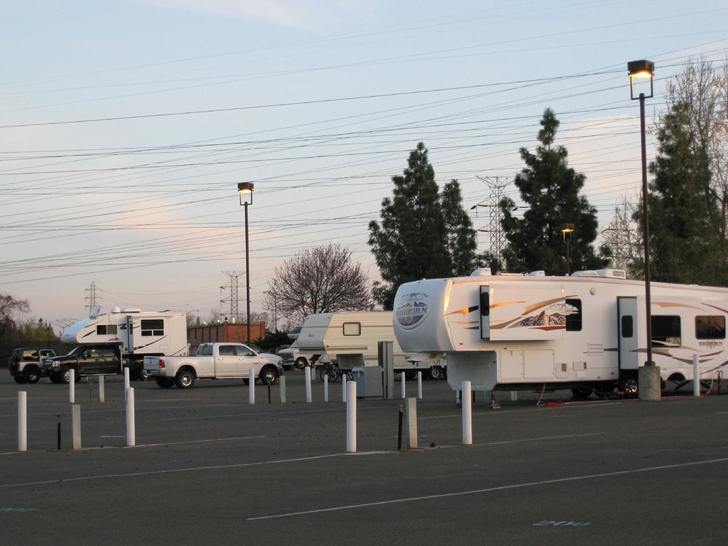 They’re easy to find just off I-80 at Enterprise, with long pull-thru sites, full hook-ups and a wide range of amenities. They offer 30 and 50-amp service, free WiFi, cable, and shaded sites – which you’ll be thankful for in the summer. The park is also pet-friendly, if you’d like to bring a four-legged friend. They additionally have cabins and cottages by a lake you can rent, as well as a heated pool, dog park and bike rentals. Not to mention, the 24 Karat Grill – a fantastic restaurant in the park serving everything from breakfast to burgers. And the best part? 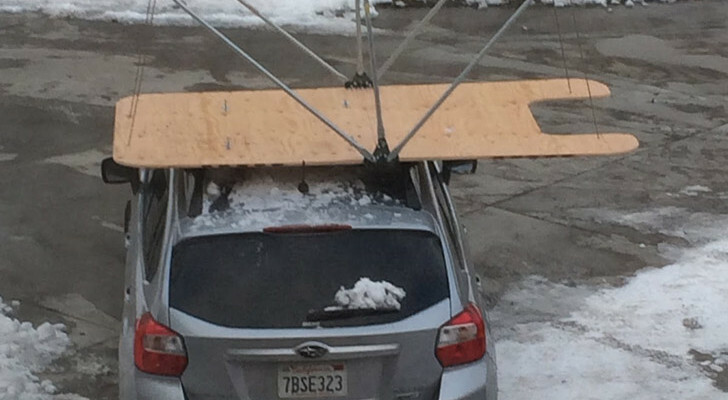 They deliver. Located smack dab in the middle of Sacramento, this park has incredibly easy access to shopping, restaurants, and the American River Bike Trail and Parkway. Literally, you’ll just be surrounded by awesome places only a short drive away. About half of their sites are on pavement, many shaded with trees overhead. There’s also a huge, grassy dog park, as well as laundry facilities, restrooms and spotless-clean showers. It’s a quality place to park, and just go exploring. You can find bike/walking trails just off the entry road that lead into downtown, or head out of town. Here’s a cozy spot in the foothills by wine country and downtown San Francisco. Set in a quiet, countryside setting, this park is only a short drive away from the Golden Gate Bridge. You’ll find plenty of scenic, short trails within close walking distance. Visitors can also enjoy a seasonal pool, dog walk, laundromat, deli, satellite TV and free WiFi. 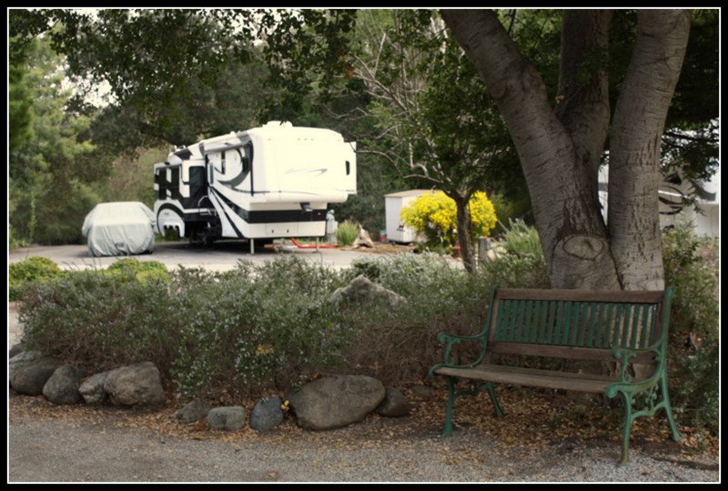 Uvas Pines RV Park is nestled in the foothills of Morgan Hill, near a tumbling creek and a handful of exquisite vineyards. 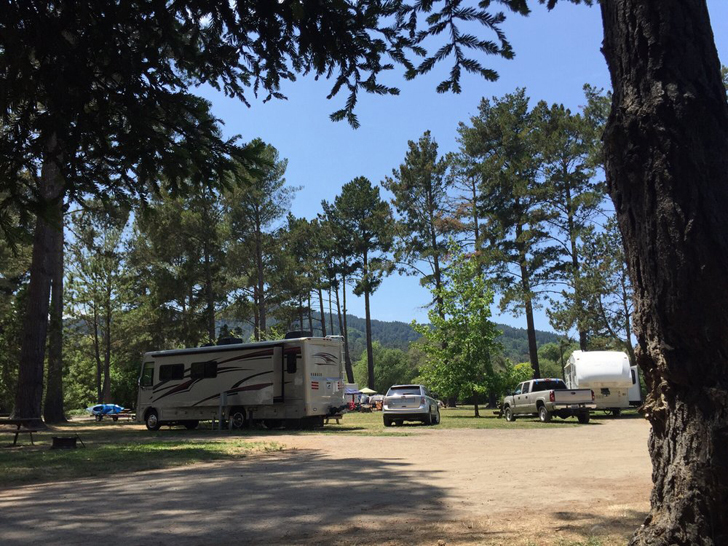 They have some of the largest, extra-wide spaces in the Santa Clara Valley here – both drive through and back-in – to accommodate RVs of any size. And their prices are pretty reasonable, too. At the moment, the rate per night is only $45 (plus tax), per week at $310, or $725 per month. 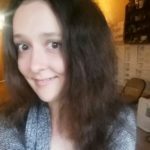 They even offer a 10% Good Sam’s discount, as well as AAA and Military rates. A few highlights on their list of amenities include: free WiFi, laundry rooms, hot showers, propane, a fax machine service, picnic areas down by the creek, and miles of great hiking trails. Just north of San Francisco, this idyllic resort offers a quiet place to escape by Point Reyes Seashore. It’s a quiet, tranquil area for bird watching, hiking, kayaking, or just combing the beach. 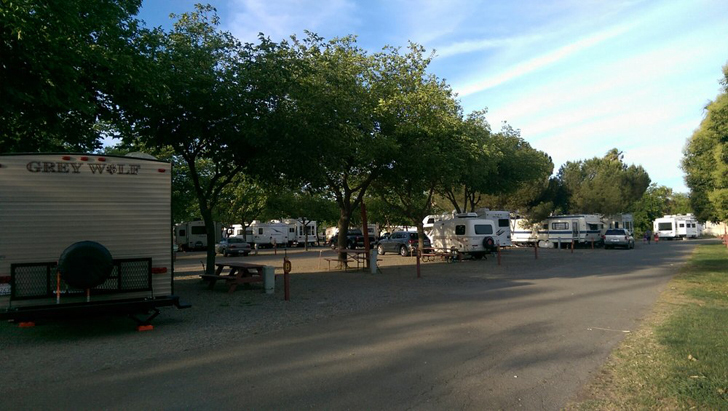 The spacious park features 187 sites total: 80 for RVs, while the other 107 are for tent camping. Of the 80 for trailers, 26 are full hook-up, and 54 are water/electric. All of them come equipped with a fire ring and picnic tables. Amenities include: free Wi-Fi, spotless showers and restrooms, a playground for the little ones, places for activities like volleyball, a dump station, laundromat, and even a post office. The view doesn’t get any better than this. 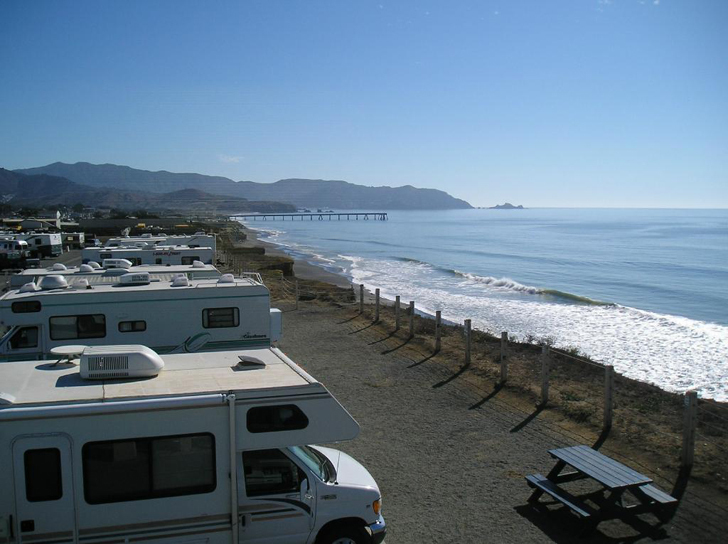 Located only 15 minutes from the Golden Gate Bridge, this oceanside park offers heavenly accommodations on a 60-foot bluff, overlooking the beautiful Pacific Ocean. At night, the sunsets are almost too dreamy for words. The ocean draws in anyone looking to surf, explore tide pools, or just relax by the waves. 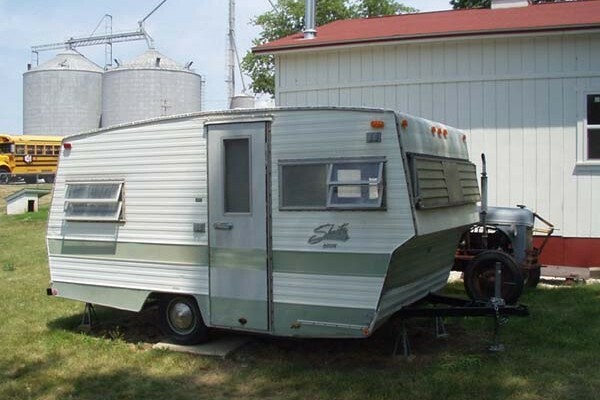 They can accommodate the smallest of RVs on up to 45′ motor homes (however, no tents). Guests will be able to enjoy a clubhouse, WiFi hotspots, a swimming pool, Whirlpool hot tub, picnic/BBQ area, and laundry facilities. Feel free to bring Fido with – pets are welcome, too. 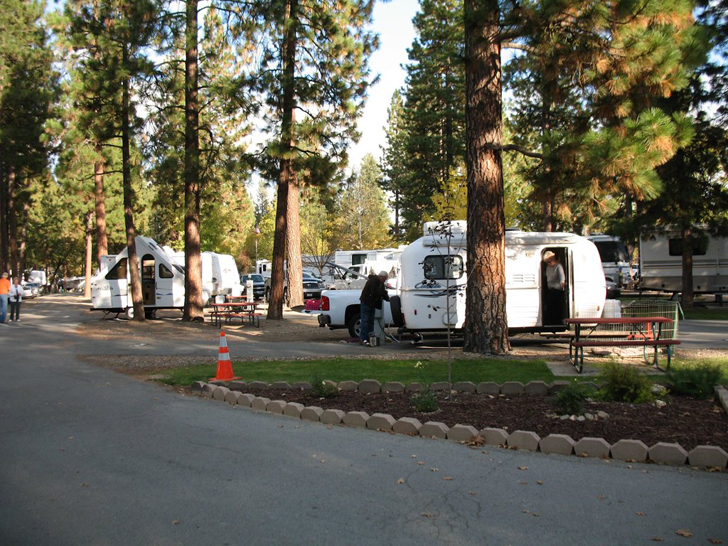 Pioneer RV Park offers a secluded place to stay in the forests of the Sierra Nevada mountains. At an elevation of 3500 feet, they’re far from any railroad or highway noise – so you’ll be able to just kick back and relax in silence – but still be within just a short drive to Lake Tahoe or Lassen Volcanic National Park. 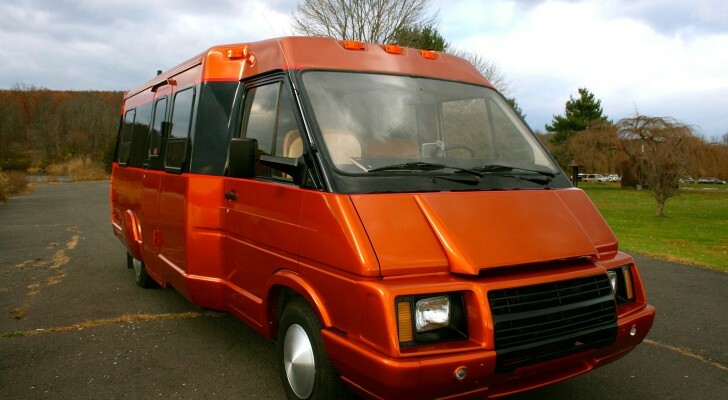 They provide spacious, extra-long Big Rig pull-thrus, with 20/30/50-amp electric service. They also have free WiFi throughout the park, as well as pristine showers, laundry facilities, and even an on-site dog wash.
And if you’re coming as a group, even better. The park welcomes reunions, rallies and clubs with several group facilities, including a clubhouse meeting room. Hidden in the woods by the coast, this park is surrounded by some of the tallest spruce, hemlock, Douglas fir and redwood trees you’ll ever see. 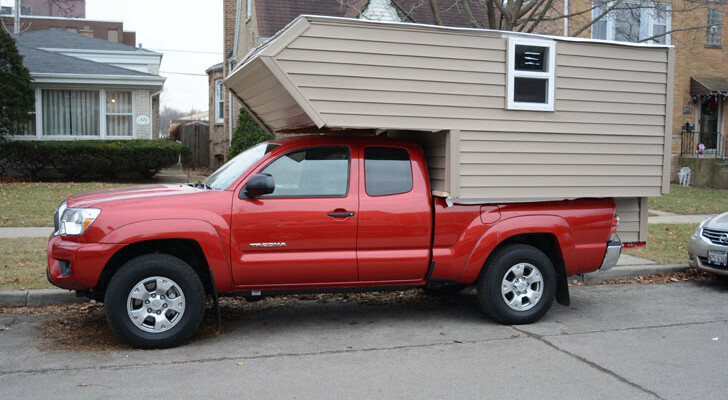 Whether you have a fifth wheel or a giant motor home, they can accommodate just about everybody and everything. 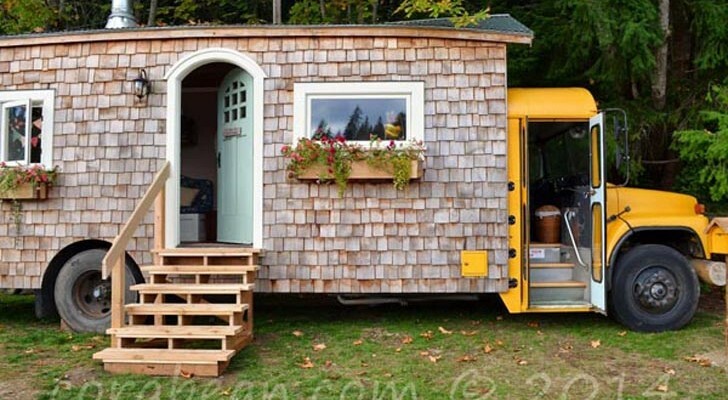 Even if you didn’t bring a camper or a tent, they have charming rental cabins to stay in overnight. And you won’t need to find a dog sitter – they’re a pet-friendly park, and even have a dog-washing site as well. They offer huge pull-through sites, back-in sites, Big Rig sites, wooded tent sites, and full hook-ups (with water, sewer and electric). The recently renovated resort also boasts new electric pedestals, as well as a brand new plumbing system and a playground for the little ones. 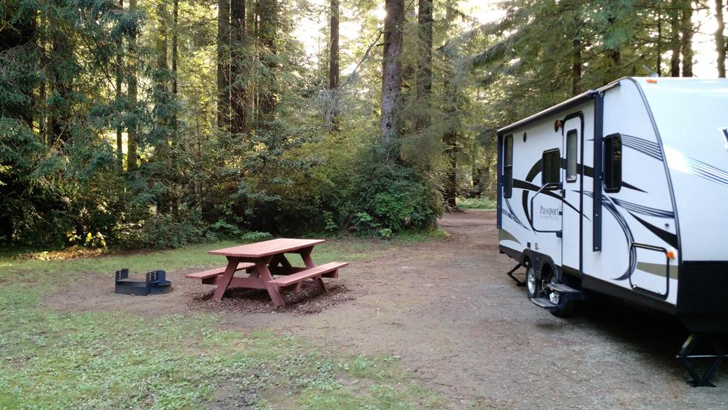 Where are some of your favorite places to go camping and RVing in Northern California? We’d love for you to share them with us!